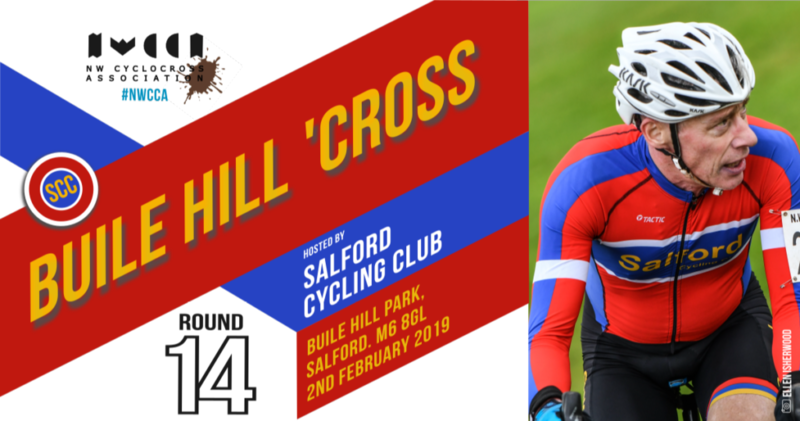 Salford Cycling Club is thrilled to be hosting the final race of the NWCCA calendar for the 2018/19 season – the league’s first ever visit to the mighty city of Salford. 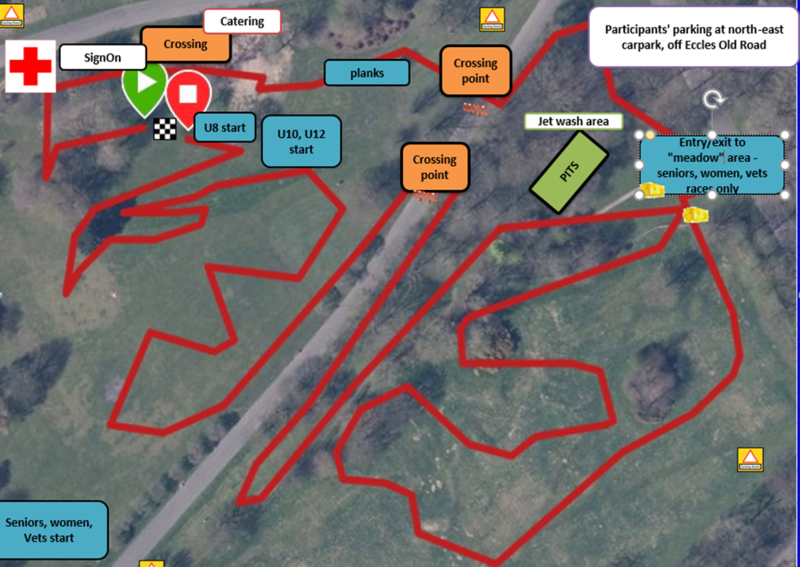 The full course is just under 2km in length, with shorter and less technical sections for U8, U10/U12 and the Juniors/Novices races. The route features plenty of tight technical turns, and faster, open sections. There will be some surprises in the “meadow” area of the park, too. This area is a former golf course, with lots of short, steep banking. And being a former golf course, it also features SAND! Spectators will be able to see almost every section of racing from the start/finish area in the north of the park. Please use the car park at the north east end of the park, where marshals will be stationed. 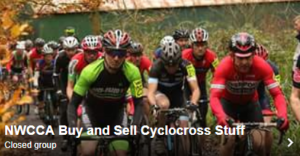 Please don’t park vehicles on any of on the tarmac tracks within the park itself, and please show consideration for other members of the public using the park on our race day – we hope to come back for next CX season! A huge thanks to British Cycling officials, Salford Council park rangers, Salford CC regulars and Rob Allen, riding for Leisure Lakes Bikes Bury, for helping design and build what we hope will be a classic and demanding course that’s more than equal to anything on the NWCCA calendar. Mechanical support will be available from Brooks Cycles, Eccles. Race times and entry rules will follow the usual league format, beginning with the Juniors and Novices race at 10.30am, and closing with the Senior and U23 race at 2.30pm.